Home > Blog > National Collegiate Student Loan Trust – Who are they? 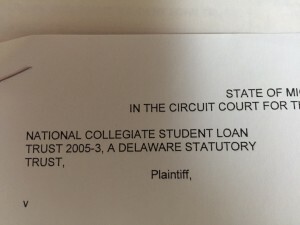 Are you being sued by National Collegiate Student Loan Trust for a student loan you signed up for years ago? You are not alone. National Collegiate Student Loan Trust, and its many variations, are entities created by a company called First Marblehead, based in Boston. 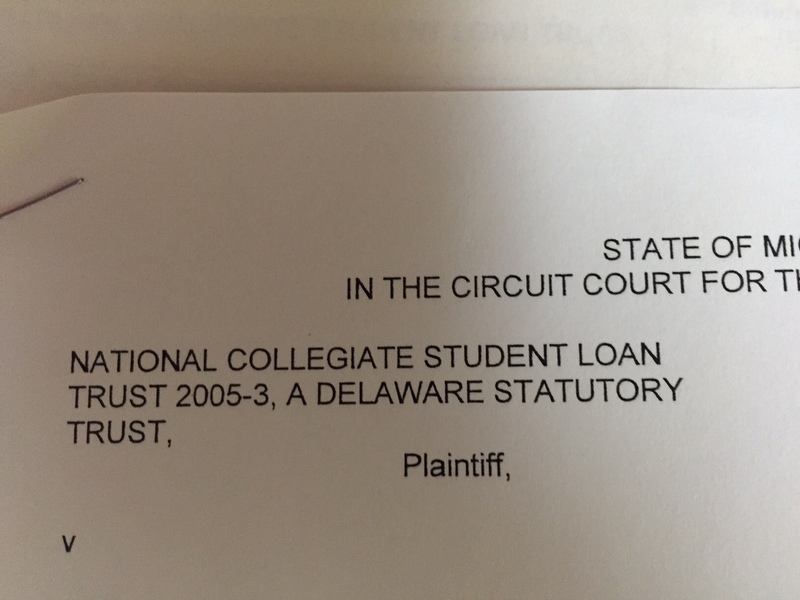 This company bought up thousands of student loans issued by private lenders and are now trying to collect judgments on these loans. They are suing student loan debtors all over the United States, from Florida to Alaska, and all points in between. Why? They are then using these judgments to issue bonds to investors. The judgments are then then collected upon (usually by garnishment of wages) and then the interest is paid to the bondholders. In short, your loan is being used by National Collegiate Student Loan Trust to further someone else’s investment portfolio. Sound familiar? In many ways it’s the sub-prime mortgage fiasco in the making all over again. We have represented clients being sued all over Michigan by NCT and have had great success in helping our clients either getting the case dismissed or settled at a very favorable result to our clients. Just because you are being sued doesn’t mean you are without options. In fact, we can help you even if you have defaulted on a National Collegiate Student Loan Trust lawsuit. If you are being sued by National Collegiate Student Loan Trust, the worst thing you can do is sit on it and not do anything. Call us for a consultation and we can protect you as much as possible from these people who are trying to use your hard earned money as a shady investment vehicle for their bondholders. Again, the worst thing you can do is not act at all. Call us at 586-979-5000 for a consultation.